Homesickness can be debilitating. Culture shock and homesickness combined can be completely crushing and plunges you deep into depression which impacts on your expat experience and life. I know. I’ve been there before. And, weirdly enough, I’m going through it again 18 years after my first expat slump. Expat slump is a mild way of describing this feeling of loss, loneliness and displacement. It really should be called expat misery! I’ve gone off English tea – something I learned to embrace and love. At the moment, I can’t drink it. Becoming British feels like a chore and my motivation to study the Life in the UK book has ceased. I really hate that May is cold and wet instead of full of sun and spring-like weather, even though I know it’s like this every year and I’ve got used to it. I’m secretly looking at US real estate and what we might be able to afford, fully knowing that this is a futile exercise. My tolerance for poor and even mediocre customer service seems to have gone way down which is weird after being so used it and not minding it that much. My mind keeps harping back to some of the horrible experiences and people I’ve endured over the years as an American, newcomer and expat. Normally I wouldn’t let any of that bother me. I cry silently while I’m at work. Something I have not done due to homesickness for many years. Talk to people, talk about it openly. This is something I didn’t do 18 years ago because I had no one to talk to nor did I understand how I felt and what was happening so I didn’t know that talking about anything could help. Know that you are not alone – others have gone or are going through similar experiences. Seek, find and give empathy. 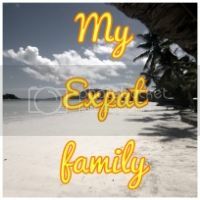 Facebook groups, online expat forums and blogs can be a good way to reach out to others who have gone or are going through similar expat slumps. Meet up in person to support each other and have fun. But don’t make it a gripe session. Do something fun to cheer yourself up. Could be a day out or simply an indulgent piece of cake. (minus the English tea). Whenever you feel sad or depressed, try to find the silver lining. For example, it might not ever be hot here for an extended period of time during May, June, July and August but that’s OK because it forces us to go on holiday to hot places like Spain and Italy which is a fabulous and affordable thing for us to do (it wouldn’t be as much if we lived in the US). Bad, difficult and challenging experiences are part of life and what makes expat life so interesting. Think of all the great stories you have to tell. For me, it’s my children who I turn to (unknowingly on their part) for living proof and acknowledgement that I’ve done OK here and for inspiration to carry on embracing my adopted home country and making it work for all of us. If you’re going through an expat slump for the first time or again after several years of living abroad, please know that you are not alone. It is hard, there is no doubt about it. It happens to the most seasoned expats and can creep up on you when you least expect it. And if you have a bad day and want to rant and rave to yourself, then do that. Just remember that it won’t stay forever and there are things you can do to keep positive and enjoy expat life which will, in turn, help you to continue to create a wonderful life for yourself and your family. A very touching post. Dealing with homesickness is never easy to deal with. I’ve had more homesickness since we got back from Canada last summer. A simple thing like an email from one of my sisters sets off the tears. It’s good to know and remember that we aren’t alone in dealing with this. Thank you Arianna. I value your support and know that you understand what I’m feeling and where I’m coming from on this. That in itself is comforting. A lovely post and so true. It crept up on me recently, both for my nephew’s birthday and Mother’s Day oddly enough… I totally understand where you are coming from and thank you for this honest account. I have a partial solution for you – come to South Africa for a while. You’ll go back to the UK thinking our customer service is wonderful!!! These feelings are hard though and the problem is when you keep moving around like I do, I get homesick for many different places not just one! I hope you feel better soon, my other solution to any down feelings is to start planning my next holiday! Wow, this is a brave post. As a really long term British expat in Africa (17 years) I have kind of forgotten how to address these feelings of homesickness, preferring to push them under the surface rather than face them head on. It’s tough because 2 of our 3 kids will be at secondary school in the UK from September, so we have split the nuclear family up too, making it hard for me to work out why the heck we are staying on. However, I often tell myself that who knows what our life would be like if we had stayed at home. Chances are, not necessarily perfect either…. Thank you Frances, but I don’t feel all that brave right now! Why did you choose secondary school in the UK? Was it the better option in terms of schooling? Is it boarding school? Sounds like it might be if you’re staying in Africa. Hope it all works out. Ahhh Meghan i just wanted to jump through the screen and give you a big hug reading this. Sometimes it can be so so hard being away from home can’t it, and it doesn’t matter how long its been sometimes something brings you down and it can be really tough to get back up again. I love your strategies for getting out of the expat ‘slump’ they are really positive and really do-able. I think posts like this are really important as I think that a lot of expats experience this (almost certainly all) but don’t know what it is. Talking about it is SO important and really helps so much!! Thank you Chantelle for such kind words. Living away from home definitely has benefits, but as you know, it’s also challenging at times. I love that so many expats can relate to this post.